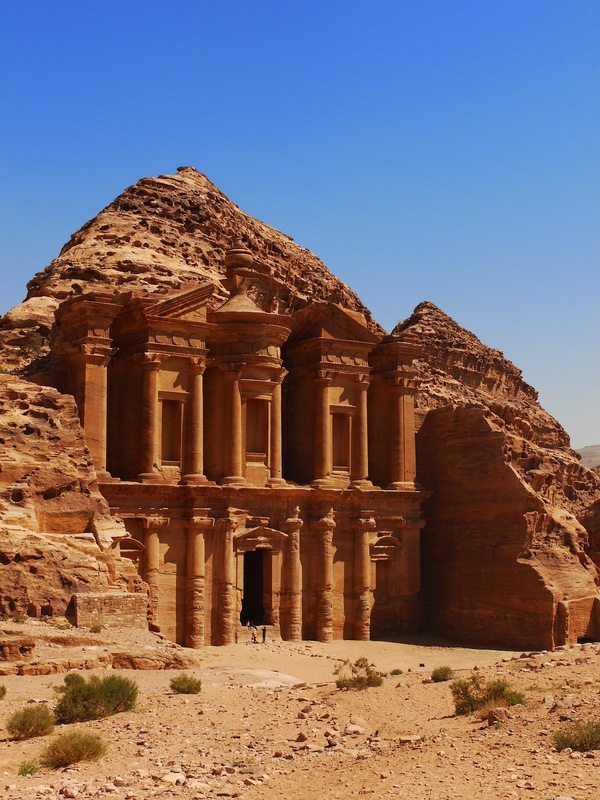 Tess Read: Jordan: Petra Wow! Camel riding - yey! Being groped in the Red Sea - urgh! Swimming in the Dead Sea - coooool! 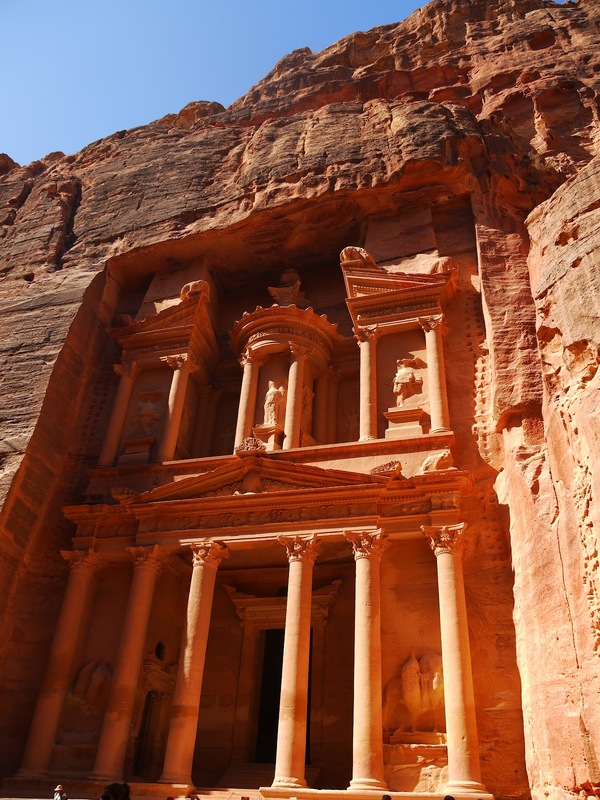 Jordan: Petra Wow! Camel riding - yey! Being groped in the Red Sea - urgh! Swimming in the Dead Sea - coooool! 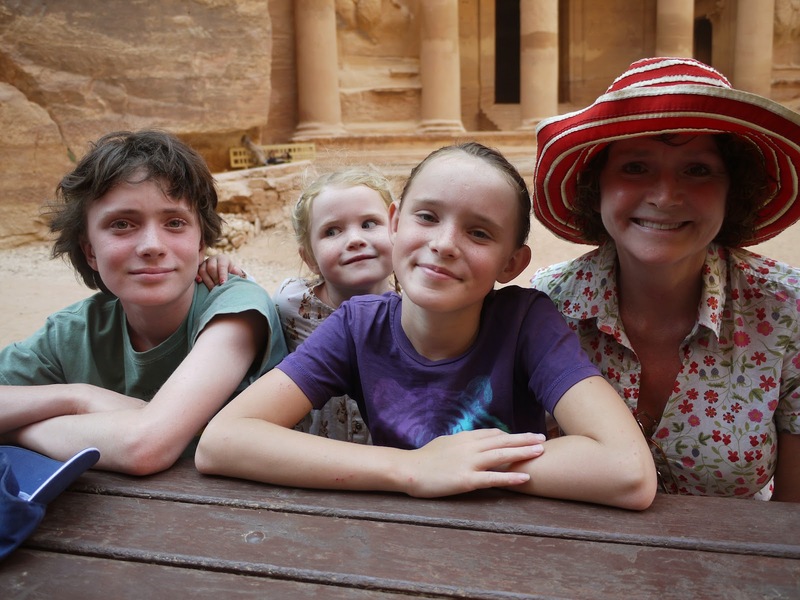 Petra with kids - absolutely yes! 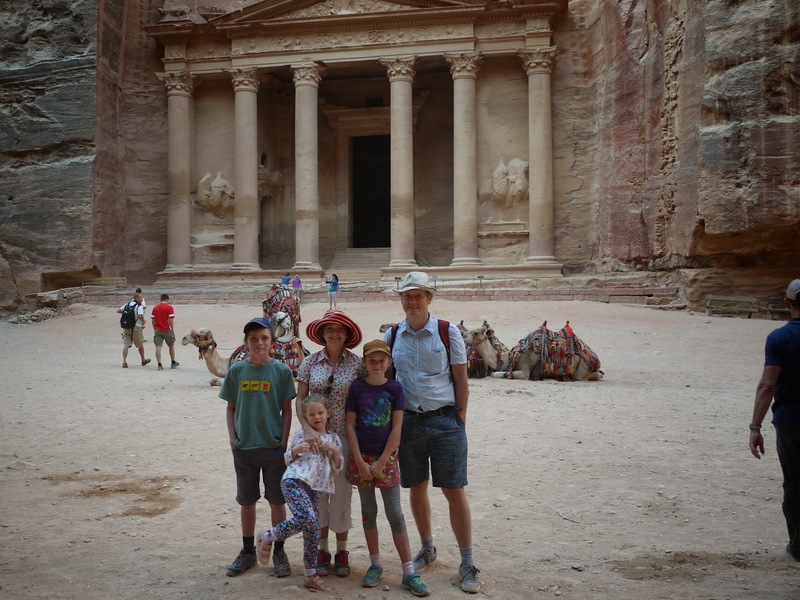 Petra - it really is as astonishing as everyone says, and totally doable with kids. My advice is to get there early - we arrived at 7.30am - and do hire donkeys for the ride up to the monastery. It's great fun and then there's no whining from kids having to climb steps in the incredibly boiling temperatures of the day. 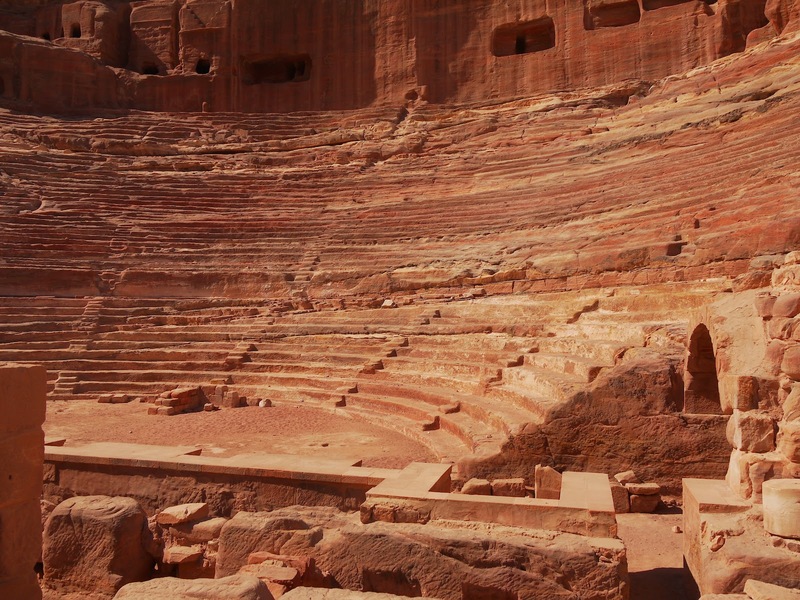 What ever you do, don't just stop at the Treasury, there is so so much more to see further on including the wonderful amphitheatre, the Roman road, and, above, all, the miraculous Monastery. Make certain sure you make it up there to see it. The Monastery is bigger and even better than the Treasury, and is surrounded by a stunning vista of high rocks, and seems to grow so completely out of the stone that it's just astonishing. The way we did Petra was to learn with the kids all about this ancient city and its inhabitants the day before we went - that way we all looked at the site with informed eyes, and made it a real living breathing museum. 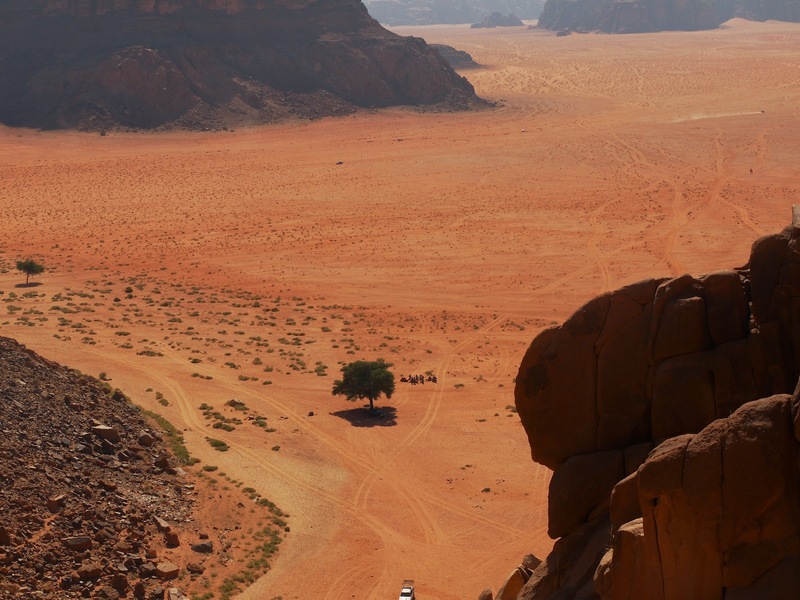 The desert - we stayed for a night in the desert courtesy of a company offering Wadi Rum tours. It was a fabulous experience where we climbed in amongst the spectacular desert scenery, watched the sun set over the red desert rocks, and then stayed in a bedouin camp where we ate food all together cooked over a fire in a large tent fully bedecked with bedouin rugs hung for the walls and covering cushions for seating. It was a sensational experience. The camp was set below an orange red cliff, with other cliffs all around, making for the most spectacular desert scenery. The sounds of the desert were small, and the silence was immense. As the sun began to sink, I climbed in bare feet to the top of the rock above us and watched the desert cliffs, passive and immutable in the sinking sun, as the colours changed from red to terracotta and to deepest ochre orange. I gathered everyone to walk to the rocks opposite to watch the sunset, and we saw the desert shift from pink to red. It was very very beautiful. In the morning a group of camels arrived to be our transport back to the village and we each rode one back, including the youngest in our party, only 5 years old, who wasn't sure at all that she would be able to handle a camel all by herself. 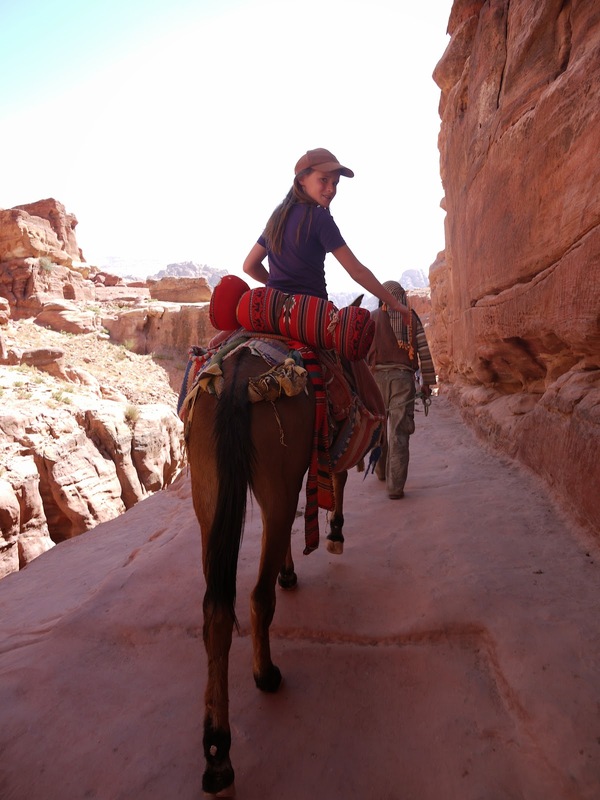 She did and was delighted to be bobbing up and down on these great creatures riding past the mighty desert cliffs and this landscape of orange and red. Aqaba - it didn't do it for us. The Red Sea was rather disappointing on the day we went - it was almost nothing like the Red Sea of Eilat that I remembered - the waters were choppy, the sea was very overcrowded, there were no brightly coloured fish or coral that I could see, instead there were frequent large boulders which bashed your legs at no warning, plus the water was very shallow for a very long way out, and a teenager groped me on the bottom while I was swimming! It was not exactly the crime of the century- he was the only person near me and was swimming right next to me so I didn't have to doubt who it was, and so immediately twisted his arm, shouted at him and tried to kick him up the bum. He stood up and looked rather startled. I hope he won't try that to a western woman again. But if you don't fancy the Red Sea, there's the Dead Sea! 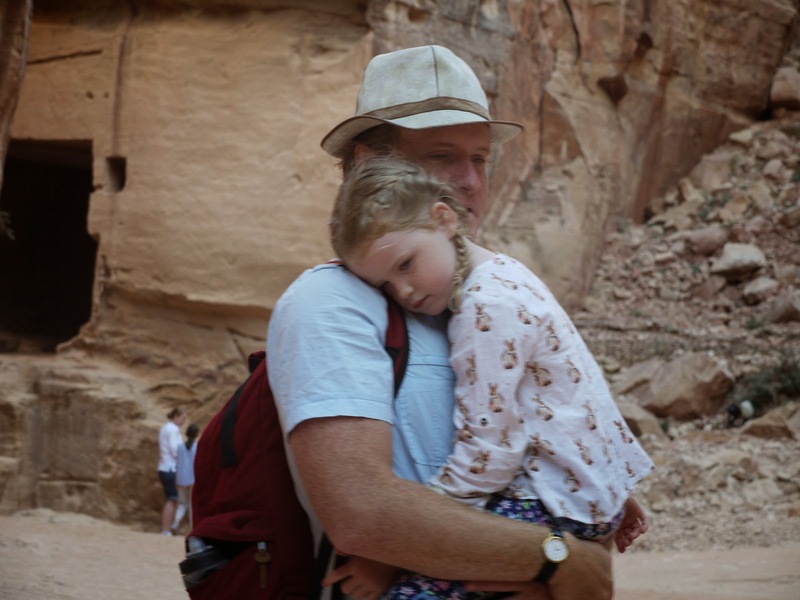 There had been quite a lot of build up to our arrival at the Dead Sea - we had taught the children all about it, how it is the lowest place on earth, how it came to be formed, why it is called Dead, because nothing can live in it. We were looking forward to it, they were looking forward to it. What would they make of it?? Well, the kids all hated it without exception. And the reason - I guess it isn't that much fun if you have a bunch of open insect bites which seriously hurt if salt gets into them. So, we left the kids to enjoy the hotel and its attractions and enjoyed the Dead Sea ourselves, and it was mighty enjoyable! It is just so liberating to be in the water and not to have to constantly swim or face drowning. It is such a weird sensation though! Just sitting and lying in the water. And it is very weird that you just can't do breaststroke, you can try to swim on your front but it just doesn't work and your face almost goes in the water, so you have to turn onto your back. You have to experience it to believe it! So all in all Jordan was a spectacular success. What a great destination for a family adventure. I thoroughly recommend it for all but the very faint-hearted. How will Sri Lanka shape up?